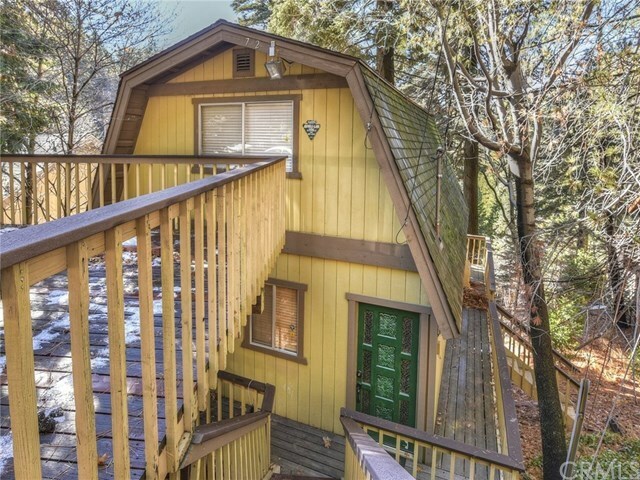 A "Must See" quaint mountain home in Lake Arrowhead. Updated 2 bed, 1 bath floor plan featuring large living room with fireplace and slider that opens to rear deck to enjoy views of the trees. Good sized kitchen with plenty of storage. The two over sized bedrooms are upstairs and each have their own gas wall heater. Large parking deck with single flight of stairs down to the front door.